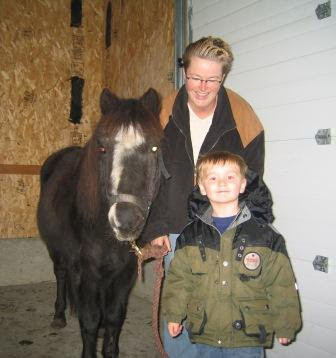 Here is a photo of Adam the day he got his pony Duke. This weekend we lost Duke. He was some were over 30 years old. It took us three hours to find him in the long swamp grass were he lied down. I worked hard last winter and did not think he was going to see spring. Me and my two boys were planning a little ride on Sunday. Sunday morning he was not with the other horses. Here is a photo of Adam with Duke. 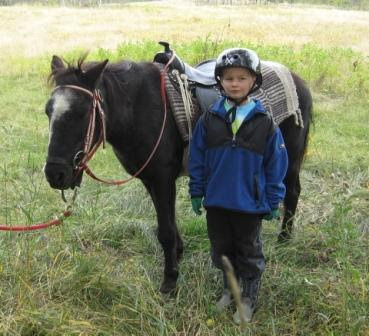 We had gone on a fall family trail ride into the next section of land, I think this was my birthday in 2007. This is were we stopped to have lunch. It was a great day.